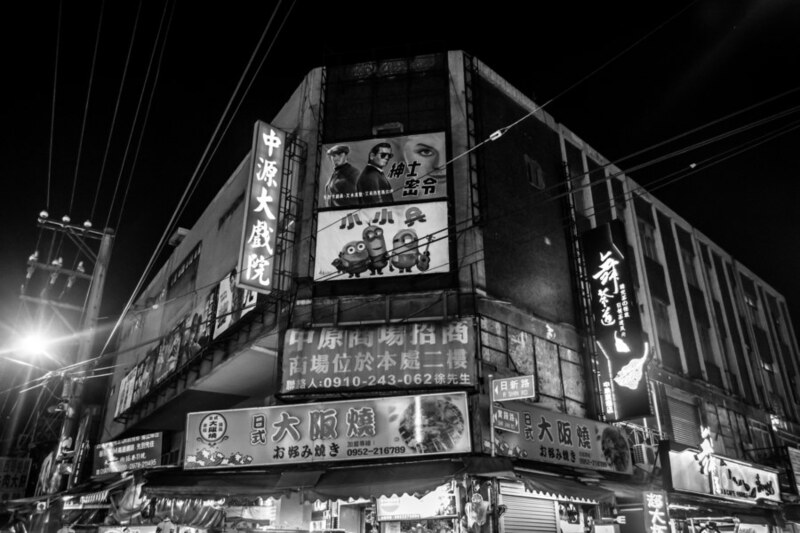 A vintage theater just outside Zhongyuan University in Zhongli. 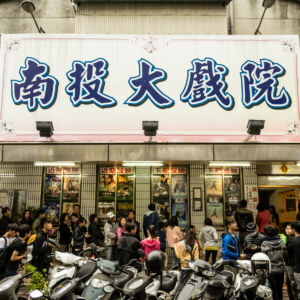 Zhōngyuán Theater 中源大戲院 is a second-run theater located in the heart of Zhongyuan Night Market 中原夜市 in Zhōnglì 中壢, Taiwan. 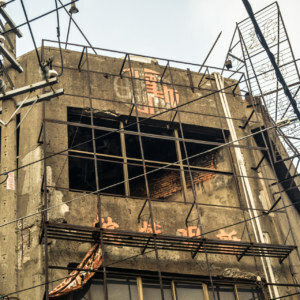 Zhongyuan Theater is ideally located next to the university of the same name amidst a huge population of budget-conscious students—which may explain why it remains in business unlike hundreds of other old theaters that have fallen into ruin in recent years, victims of changing consumer habits and strong competition from more modern multiplexes. 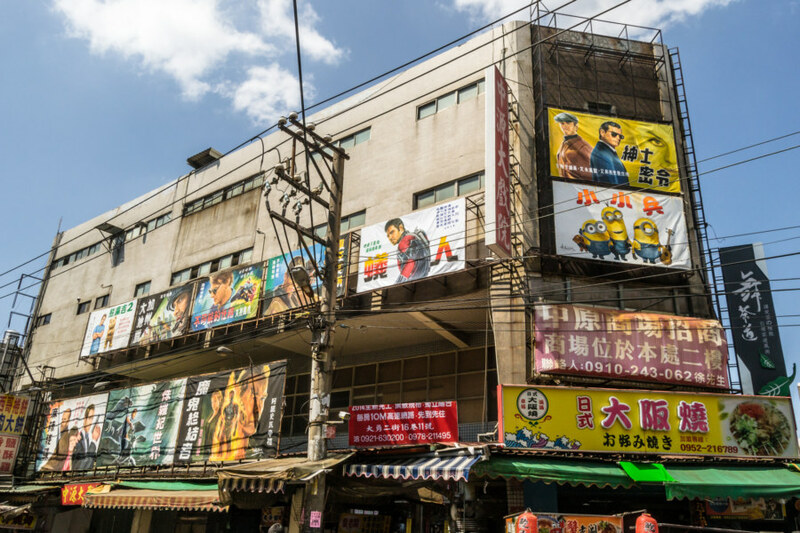 Zhongyuan is also one of the very last theaters in the nation where you will find hand-painted movie posters hanging outside, a nostalgic practice more widely associated with Chin Men Theater 全美戲院 down in Tainan 台南. 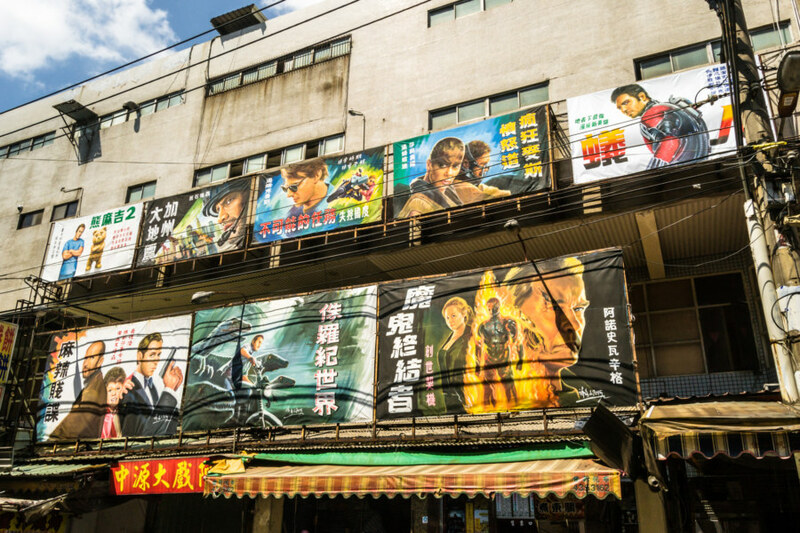 Hand-painted movies posters cover the side of the theater. 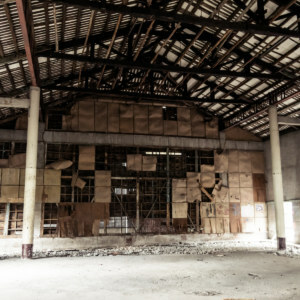 Market stalls can be found all around the base of the building. 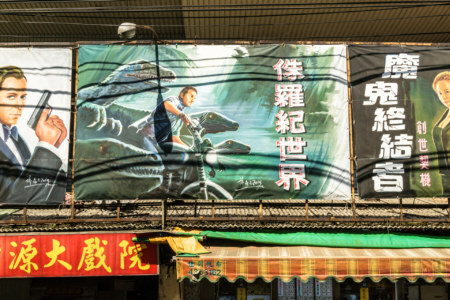 Jurassic World painted by hand. 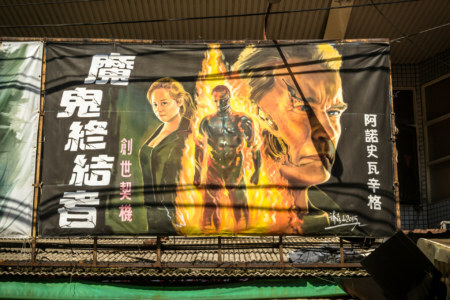 A hand-painted Terminator: Genisys poster. 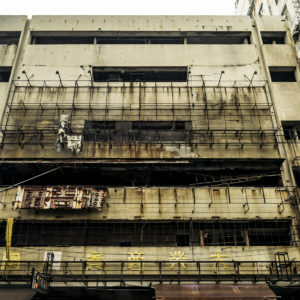 Mad Max: Fury Road as see outside Zhongyuan Grand Theater. 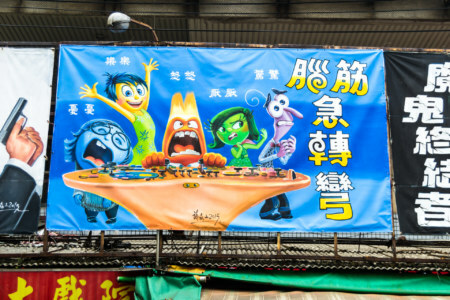 Inside Out poster at Zhongyuan Grand Theater. 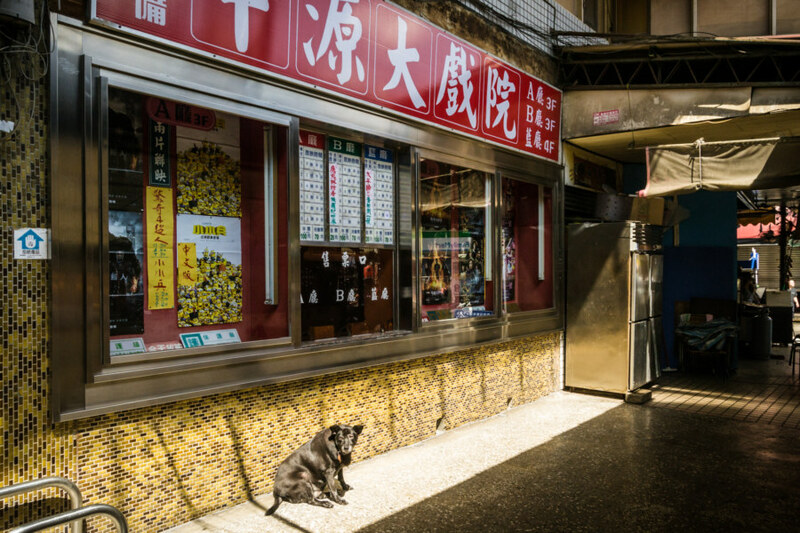 Old dog outside the ticket booth by day. 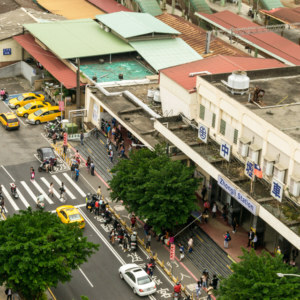 My impression is that Taiwanese have realized a newfound appreciation for elements of the past that almost vanished in the rush to modernize. 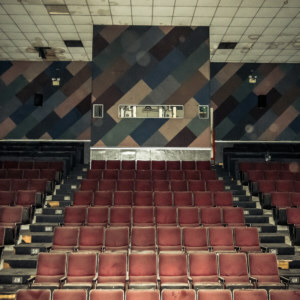 An entire industry of painters once created posters for the movie houses of the nation—and now only a handful of veterans ply the trade. Without apprentices the trade will die with them. 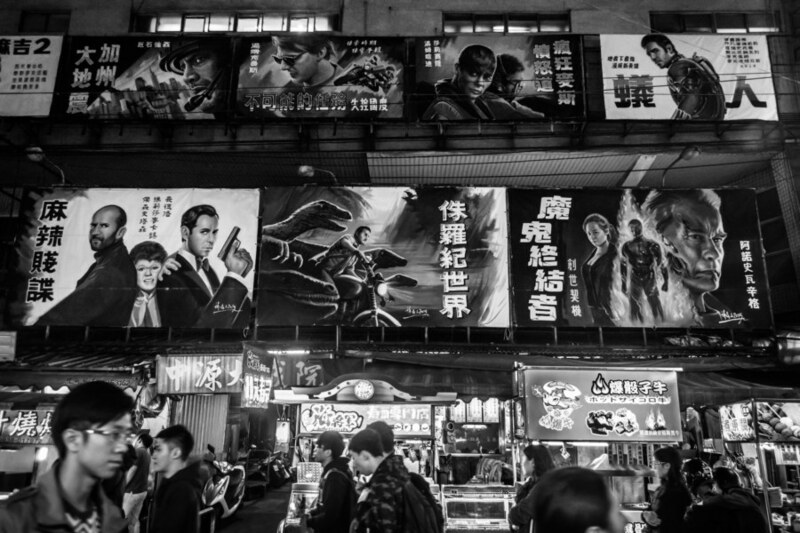 In all likelihood we are living in the final moments in human history when anyone can take a stroll through the busy market streets, look up, and find completely unique, hand-painted advertisements for the latest films. 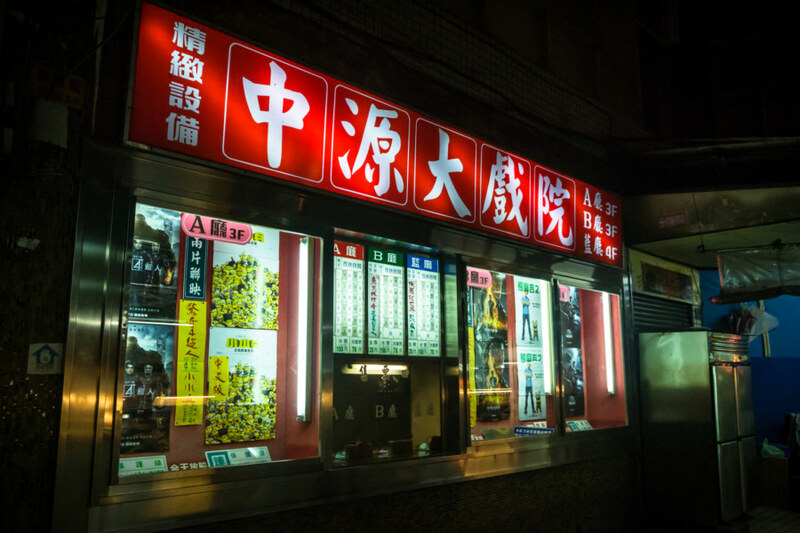 Zhongyuan Theater has a much different feel after nightfall. 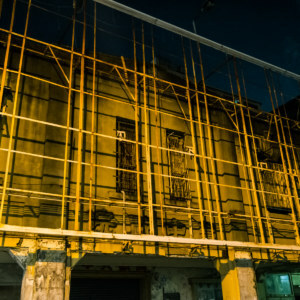 After dark at Zhongyuan Theater. 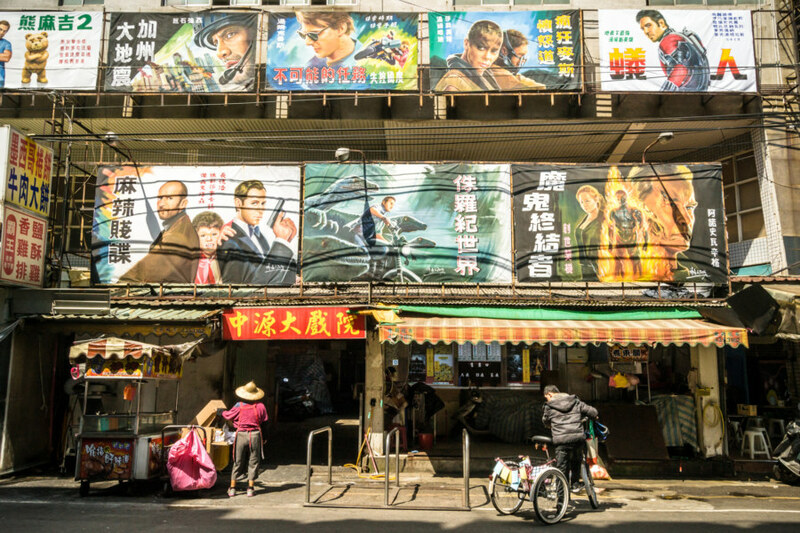 Chancing upon the hand-painted movie posters of Zhongyuan Theater was particularly interesting for me as I have spent much of the last year exploring more than a dozen of Taiwan’s many abandoned theaters—including three in Zhōnglì 中壢 alone. 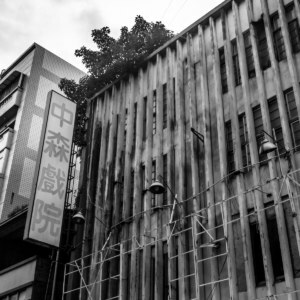 Zhongyuan is a living memory of what all those other theaters once looked like: bustling with activity and adorned with original representations of the audiovisual journeys available within. 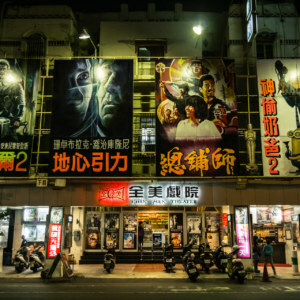 Film was one of the primary forms of mass entertainment in Taiwan going as far back as Japanese colonial times and, as such, it occupies a special place in collective memory. 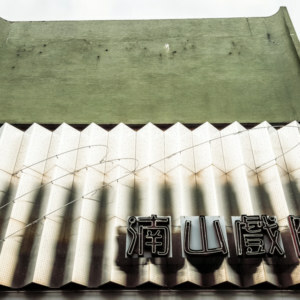 Zhongyuan Theater is one of Taiwan’s last remaining motion picture temples still in active service. Return to the source and see it while you still can. 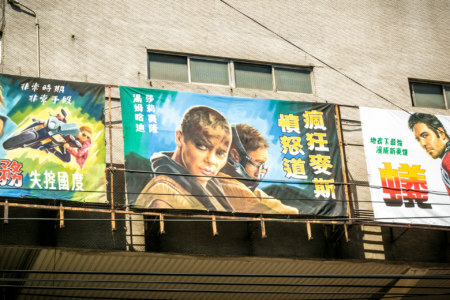 Wow, that cool that they still hand paint posters. You took some totally tubular shots, man. 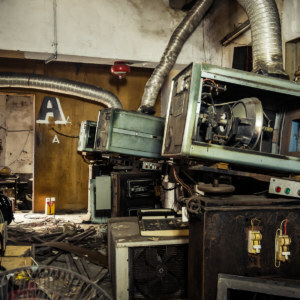 You blog about some interesting stuff.